Santa Fe as quickly established itself as one of the most popular vacation destinations in the entirety of the United States, acting as a central hub for explorers that want to see everything that the great American Southwest has to offer and reasonably centrally located enough in New Mexico to grant easy access to a whole host of other cultural hotspots throughout the area. Travelers are abandoning your average run-of-the-mill big chain hotels and motels left and right to take advantage of everything that local Santa Fe bed and breakfasts have to offer – and it’s easy to see why! 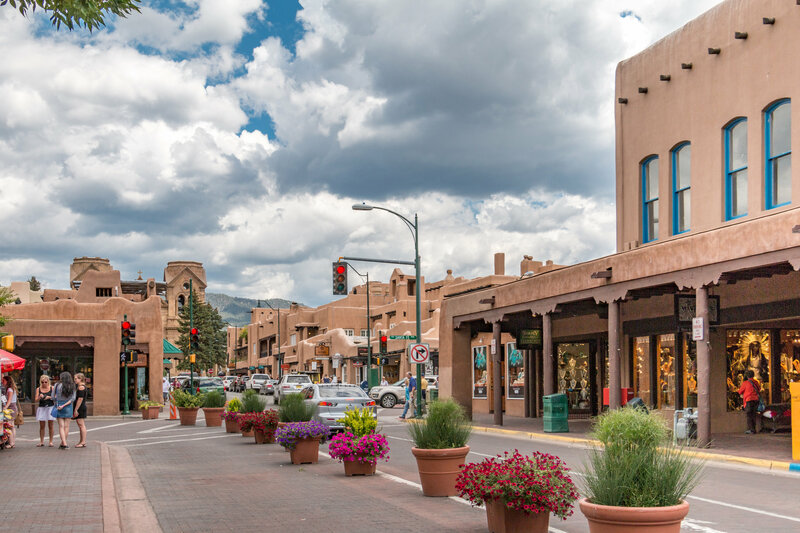 These kinds of hotspots give guests the opportunity to enjoy Santa Fe the way that locals enjoy the city and the surrounding area, setting them up in beautiful and authentic architectural lodgings with plenty of charm and some of the best food available anywhere in the city. Best of all, you’ll find Santa Fe bed and breakfasts located throughout the city which grants easy access to some of the “must-see” and “must do” attractions that New Mexico has to offer. One of the first things you’ll notice about Santa Fe is it’s incredibly diverse and rich culture regarding the arts, not only authentically representing the unique culture of the American Southwest but also celebrating the unique and diverse culture of the US in general as well. The Canyon Road Arts Museum in Santa Fe is a hotspot you’ll want to visit for sure, as is the New Mexico Museum of Art (the oldest Museum in New Mexico today). The Georgia O’Keefe Museum is another hotspot you can’t afford to miss out on. The food in New Mexico is some of the most diverse, exciting, and flavorful cuisine options you’ll find anywhere in the United States, with an obviously heavy influence of Mexican cuisine but also borrowing aspects and ideas from relatively nearby California and Texas. The Santa Fe Farmers Market first opened up for business in the 1960s and remains open all year round, and Santa Fe is home to some of the best restaurants in the American Southwest offering the kind of authentic cuisine most people are hunting for when they visit. You’ll also find a variety of different small breweries, microbreweries, as well as wineries and vineyards giving you plenty of opportunity to sample some of the local flavor in this department as well!